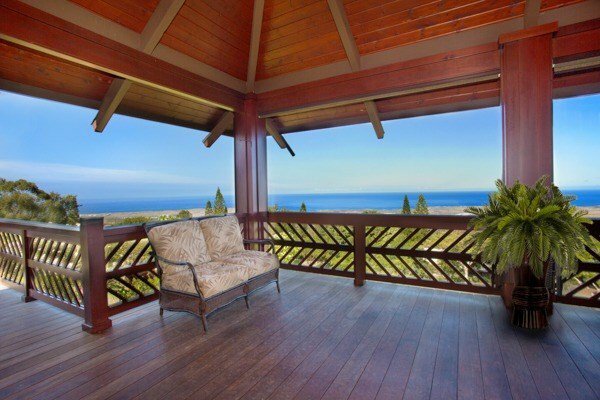 Jasminum Farms, this unique offering boasts a home nestled throughout this 5-acre gated estate. 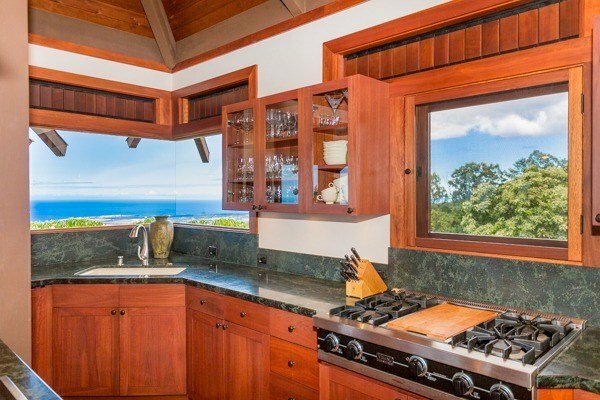 Just minutes from every convenience, yet offering privacy and peaceful settings, you’ll feel like it’s a separate island unto itself. 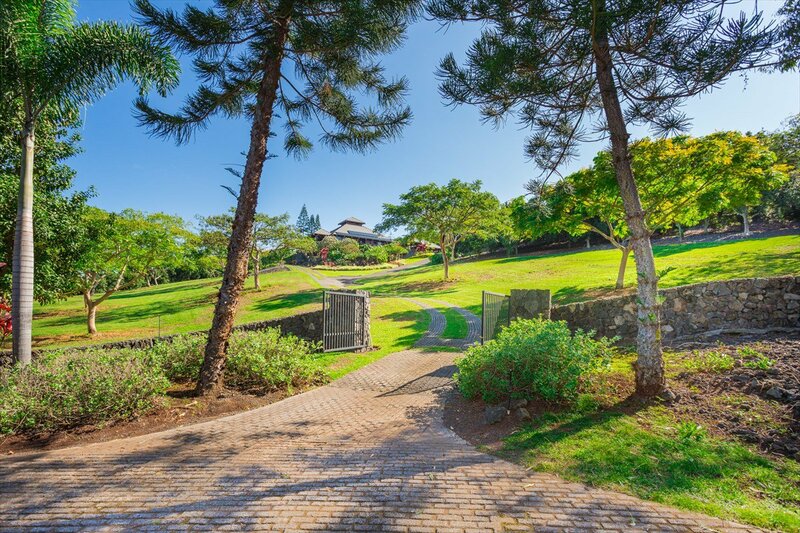 With breathtaking 180-degree Ocean & coastline views and rolling green lawns dotted with Monkey Pod trees, this estate resembles a private country club. 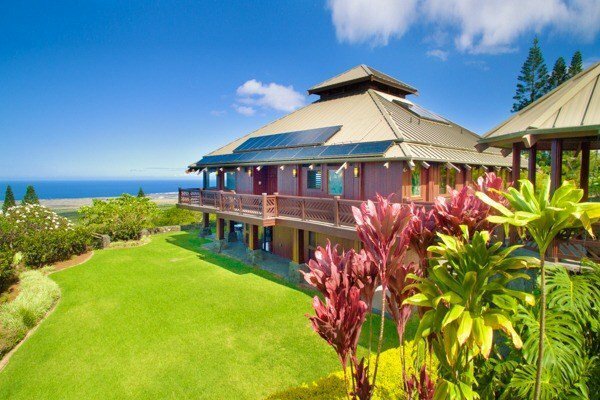 Money saving Photo Voltaic system, fully owned included. 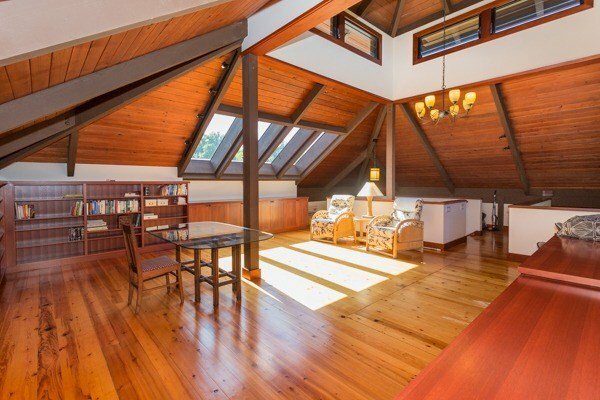 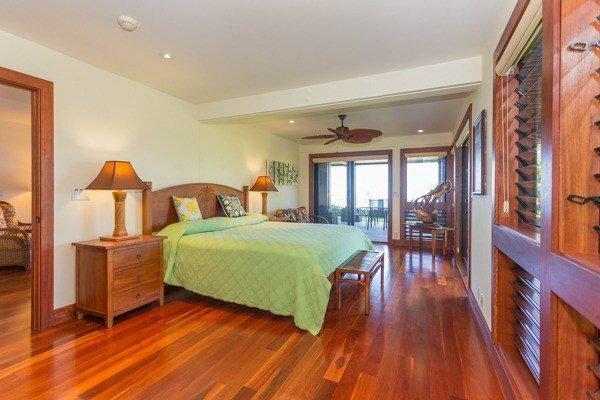 Room for horses, coffee plantation, almost anything imaginable with the usable five plus aces. 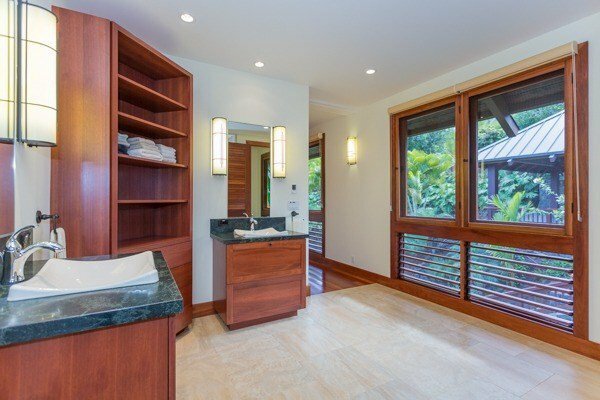 The main house is truly the focus of this estate,with 4514 sq ft 3-bedrooms 3.5-bathrooms, which was completely redesigned in 2008, with finishes that are timeless and always in fashion. 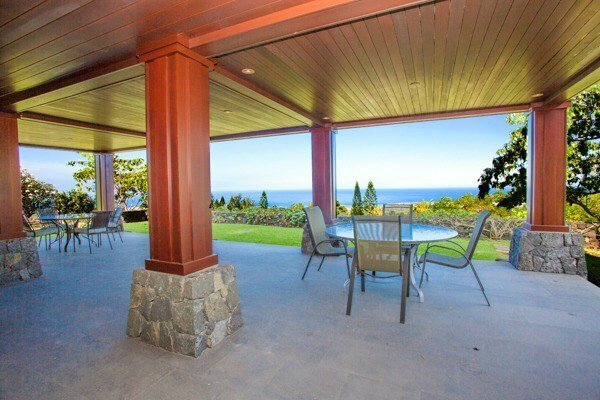 Including sturdy Steel I-beam construction for years of enjoyment, you will also appreciate the extensive use of natural stone and exotic woods designed to improve with age. 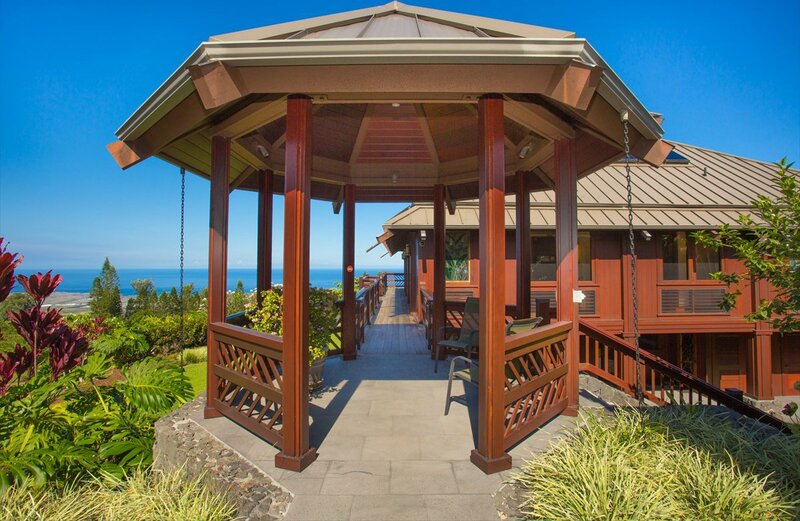 This impressive structure was created for family enjoyment as well as separation, with every bedroom offering an en suite full bathroom. 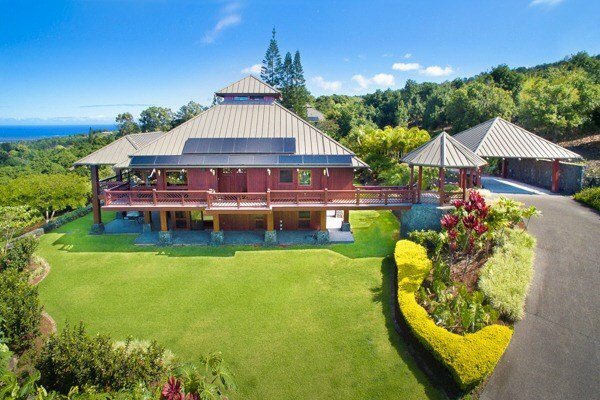 Just look through the photos and video that tells this estate's story so much better than words. 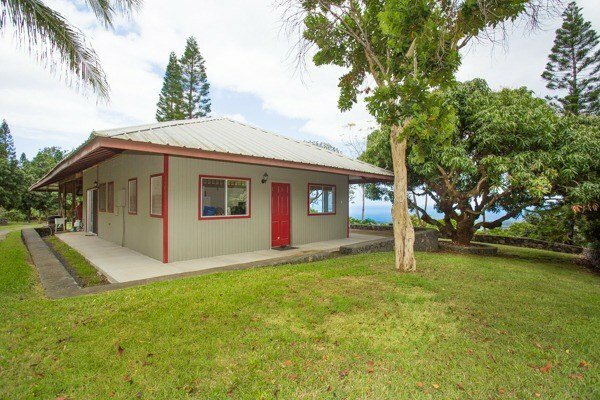 Below this impressive home is a delightful 750 square foot 1 Bedroom 1 Bathroom caretaker’s cottage with equally impressive views and setting offering unlimited options . 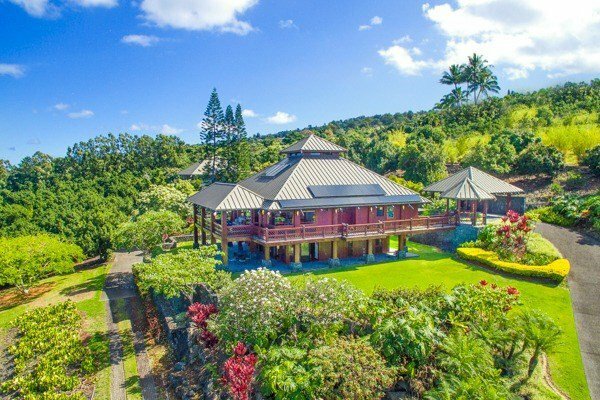 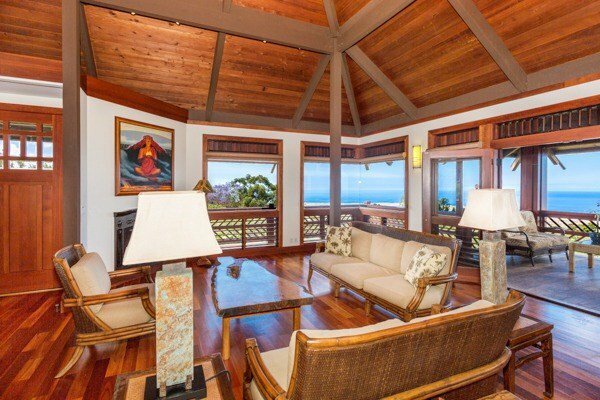 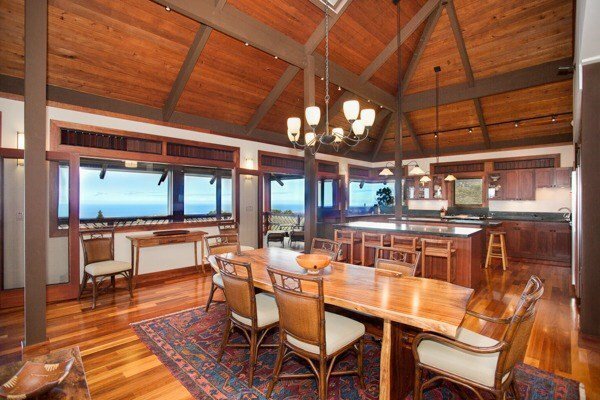 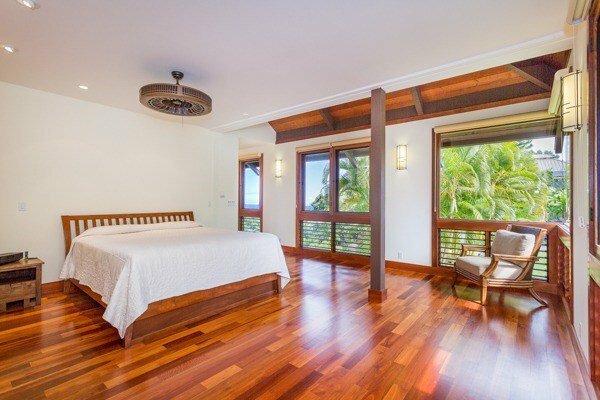 This estate offers vintage Hawaiian grace and charm. 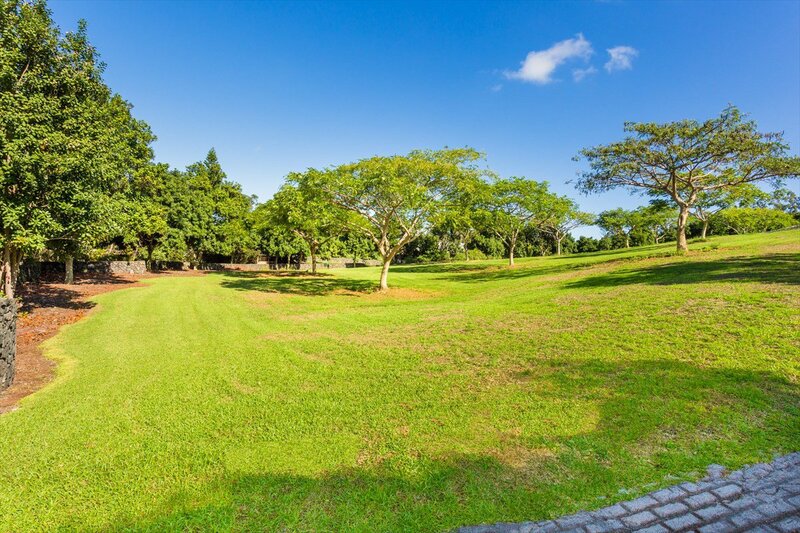 Let your imagination flow, with no restrictive CC&R’s your possibilities are unlimited. 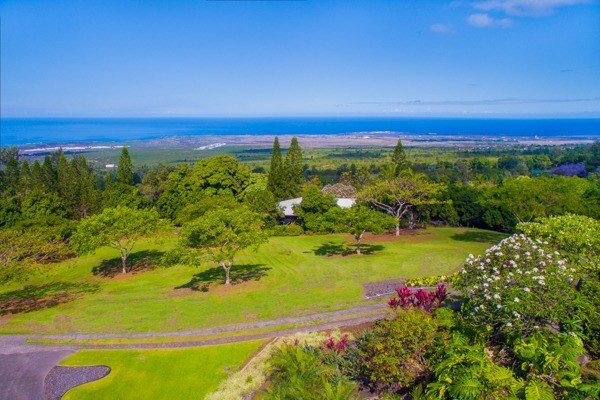 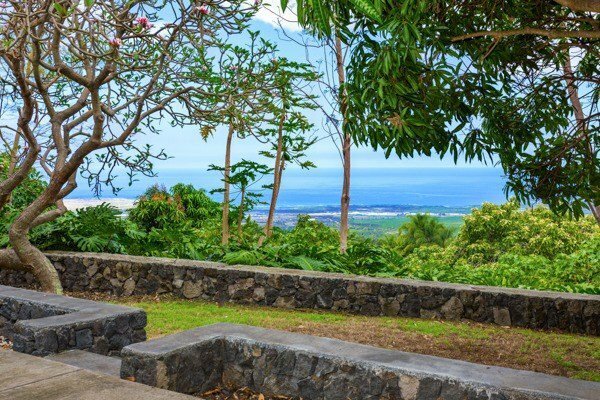 Ideal location for Kona Coffee plantation as well as plenty of space for horses. 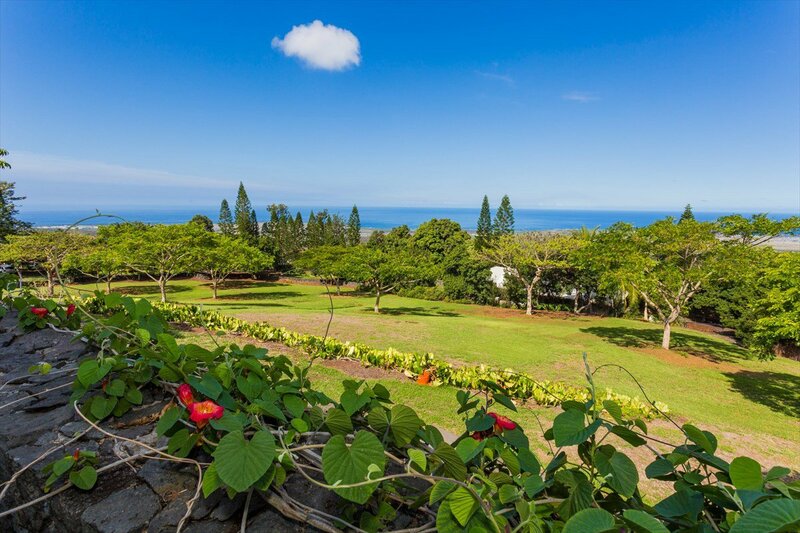 Just about every plant and tree can be found here, including a working Macadamia Nut farm, plus fruit trees along with gorgeous flowering plants and Jacaranda trees. 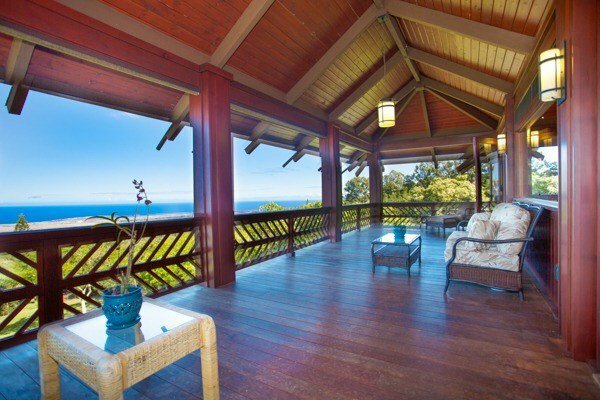 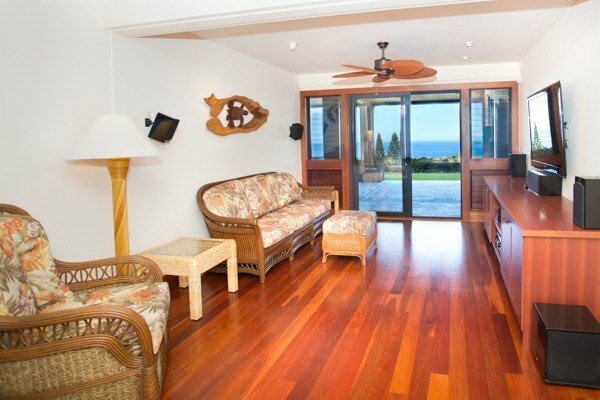 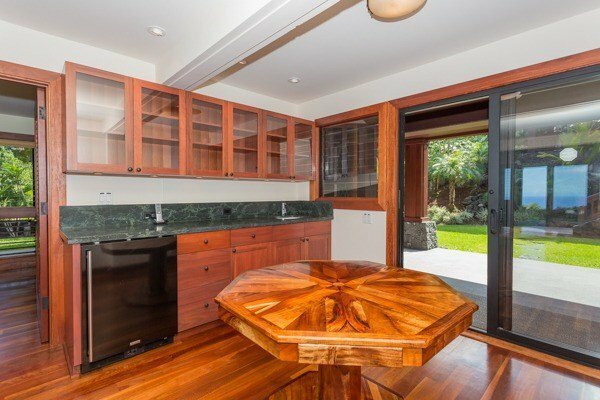 If you are looking for something special, and seldom found in Hawaii, this may be just the property for you.